The National Trust, through the Dragonfly Project Partnership, established a Dragonfly Centre in the Fens Adventurers area to enhance the tourism potential of Wicken Fen, an historic nature reserve in Britain. 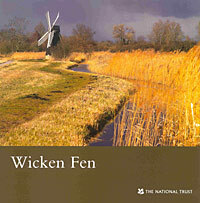 Wicken Fen is Britain's oldest nature reserve and is one of Europe's most important wetlands. The reserve is a key environmental asset of the Fens Adventurers area, and is a major tourism feature, attracting close to 40 000 visitors per year. Wicken Fen hosts 24 different species of dragonflies and was considered to be ideally placed for establishing a new tourism attraction around this theme. The main objective was to establish a new and specialist visitor attraction, the Dragonfly Centre, to enhance the tourism offer at Wicken Fen. A long term objective was to ensure the sustainability and viability of Wicken Fen as one of the key tourism attractions in the Fens Adventurers area. The project also aimed to enhance biodiversity and increase public awareness of insect species, in particular dragonfly species. The Dragonfly Centre is located within an old Fen Cottage on the Wicken Fen site. The cottage was vacant before the project, and in fact had been semi-derelict since the 1950s. Renovating and converting the cottage into the new Dragonfly Centre was the main activity. Additionally, specialist equipment and hands-on interpretation material in the form of microscopes, TVs and colourful displays, as well as demonstration dragonfly ponds were provided. The Dragonfly Centre is the home for the Dragonfly Project Partnership and is the new British Dragonfly Museum. Used as a base for conducting dragonfly safaris, guided tours and walks, and general tailored tuition courses, the centre is now receiving nearly 40,000 visitors per year. Revenues to Wicken Fen are also well up. Additional benefits include improved biodiversity and access to the countryside. A high-profile launch event inaugurated by the nation's most famous dragonfly enthusiast and presenter of the BBC TV's Spring Watch, has been critical for the visibility of the new centre. Capitalising on existing assets and the reputation of the area for biodiversity has been central to the success of the project. Finding a suitable modern use for an old building has made renovation and preservation worthwhile and sustainable. Wicken Fen Nature Reserve, Wicken village, Ely.